Carrapateena in 2005/06 – the ground on this deposit sold for $300M to Oz Minerals. Now it’s valued by Oz at over $1 billion. The combined total of these discoveries alone amounts to over $420 Billion of copper. This doesn’t count the hundreds of billions of dollars that Olympic Dam is already worth. Owing to the fertile IOCG breeding ground of South Australia, this region may host more mammoth deposits – but to find them you need high tech exploration artillery – as they are likely hidden deep under cover... We have recently invested in a tiny $12M exploration company that is on a mission to uncover Australia’s next monster IOCG deposit using high tech exploration tools. This emerging company is not operating alone – it’s aided by one man with a very deep back pocket: Robert Friedland. 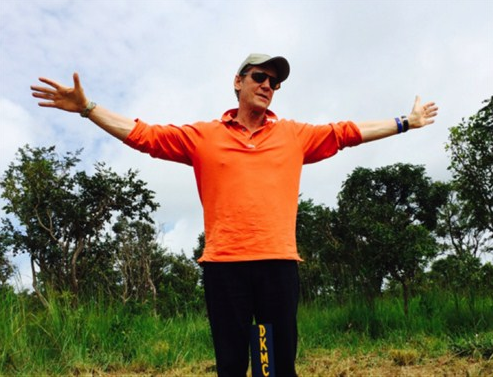 Robert Friedland, a $1.1BN net worth mining entrepreneur, has rewritten the rule book on how to explore for minerals and make buckets of money doing it. Friedland’s big scalp discoveries include Voisey’s Bay Nickel in Canada – he sold this for $3.1BN in 1996, and the Oyou Tolgoi Copper Gold Project in Mongolia – which is currently worth $8BN. Friedland indirectly controls High Power Exploration – who after an extensive due diligence and screening of over 1,000 projects worldwide has chosen to partner with our latest investment. Having Friedland in this company’s corner is a sign that a man who has been ahead of so many curves is seeing what others can’t see. We are now on the brink of this company’s drilling results – we expect these to land in just days... Is this company one step closer to uncovering Australia’s next mammoth IOCG deposit? 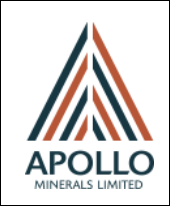 Apollo Minerals (ASX:AON) is a junior base, precious metals and iron ore explorer with a market cap of around $12M. Fresh off the back of a $2.2M capital raise from institutional and sophisticated and investors, which was done at a premium to the current share price, they have just completed a drilling campaign – and the results are due any day now. Previously, Friedland’s High Power Exploration invested $1M and have acquired a 10% stake in AON at 2c a share – which is around current market prices. The AON team also boasts Chris Anderson, the key geophysicist involved in the Carrapateena discovery – he is looking to build on his already impressive track record of IOCG discoveries in South Australia with AON. 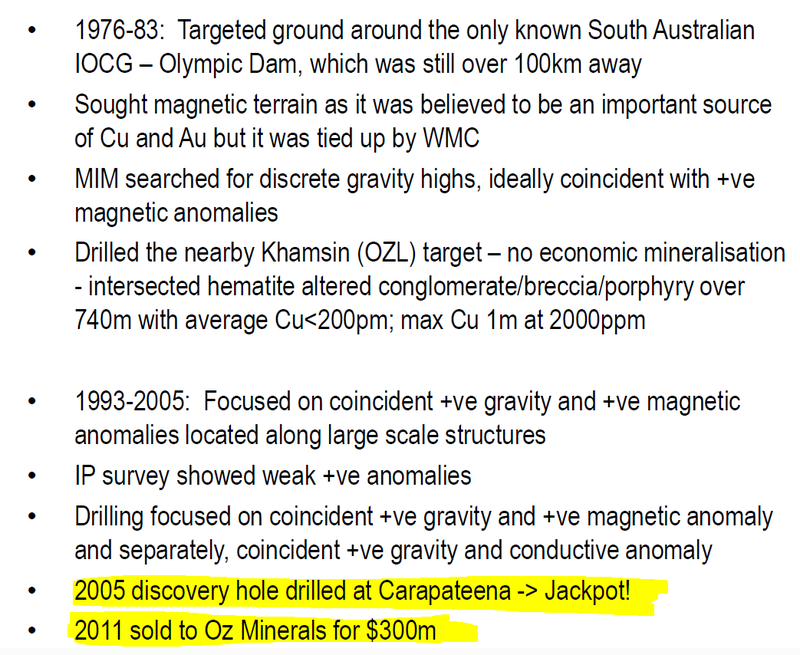 The Carrapateena discovery cost about $500k to drill – it was sold for $300M cash – now it’s valued by Oz Minerals at $1.14BN. 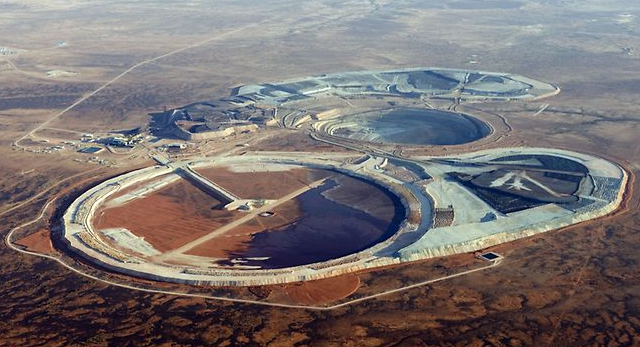 Back in 1974, when Olympic Dam was discovered, it was thought to be the only major IOCG deposit around. Now there are three... Prominent Hill was found in 2001, Carrapateena in 2005, and now we are in 2014 – can AON make the next discovery? 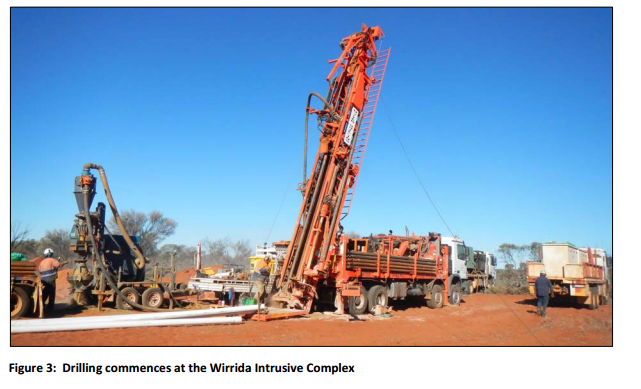 Surely there must be more IOCG deposits lurking below – the only way to find out is by drilling and using new technology to look beneath the sand in the South Australian outback. That is exactly the path AON are going down – and in just days they will be releasing more drilling results. When big IOCG discoveries are made – the markets take notice. 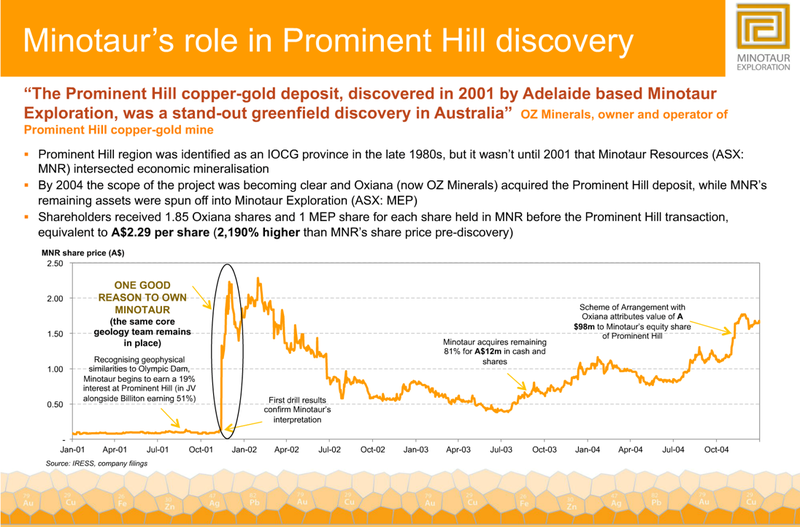 A little company called Minotaur discovered Prominent Hill in 2001 – shareholders who held pre-discovery rode a 2,190% portfolio growth – the company was eventually taken over by Oxiana – now Oz Minerals. Keep reading for more details on how this happened. The past performance of this product is not and should not be taken as an indication of future performance. Caution should be exercised in assessing past performance. This product, like all other financial products, is subject to market forces and unpredictable events that may adversely affect future performance. We have recently made an investment in AON, and will be following their progress over the coming months. For our newer readers, it’s important to note that we invest in every stock we write about as a long term hold – we take our positions in our stocks for at least 6 to 12 months – for more information please see our Financial Services Guide and Disclosure Policy . The green areas are the Mars Aurora Tank JV: AON need to spend another $750k to earn a 75% share (a company called Marmota own the other portion). Are you an AON investor and want to spread the word? The past performance of this product is not and should not be taken as an indication of future performance. Caution should be exercised in assessing past performance. This product, like all other financial products, is subject to market forces and unpredictable events that may adversely affect future performance. The Minotaur story doesn’t end there – we did some digging and found out that before Minotaur Resources, the company was called Minotaur Gold. Minotaur Gold once held the Prominent Hill assets AND Commonwealth Hill – which is now AON’s ground. So AON are actually conducting their work on unfinished Minotaur ground. As mentioned above, this ground was never drilled deeper than 100m or so for copper and gold. Minotaur weren’t looking for IOCG targets at Commonwealth Hill, and they didn’t have modern technology to uncover anything – so they gave it up. Just like Minotaur were pre-discovery, AON are currently trading at ridiculously low levels right now – imagine if AON can hit the next Prominent Hill deposit? 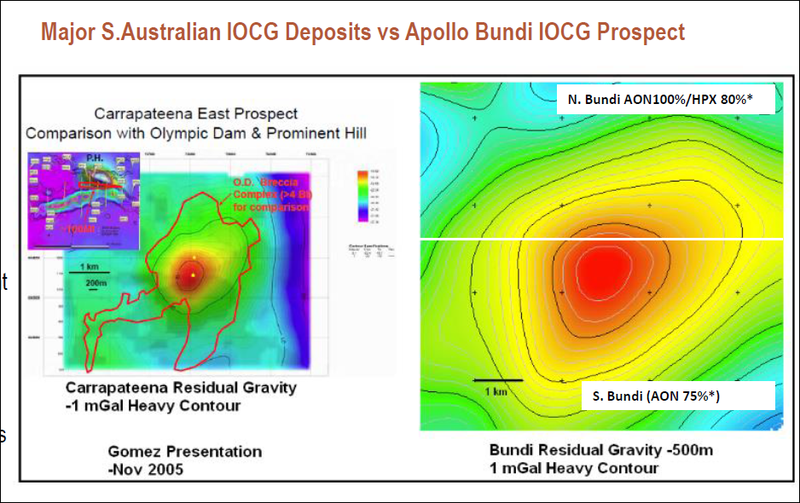 In a nutshell, AON is hunting IOCG deposits in an area of the Gawler Craton in South Australia known as “ the IOCG belt .” Billionaire backer Friedland’s High Power Exploration has partnered with AON and is chasing a mammoth discovery in one part of AON’s sprawling land package. 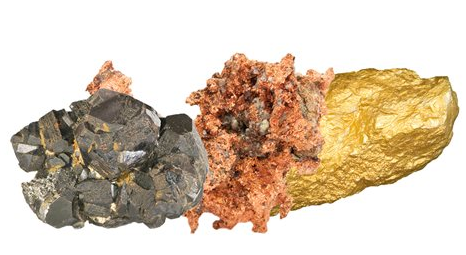 If you have just joined the mining investment game, Iron-Oxide-Copper-Gold or IOCG deposits are massive concentrations of copper, gold and uranium ores hosted within iron oxide. They range in size (so far) from 10M tonnes to 4,000M tonnes. 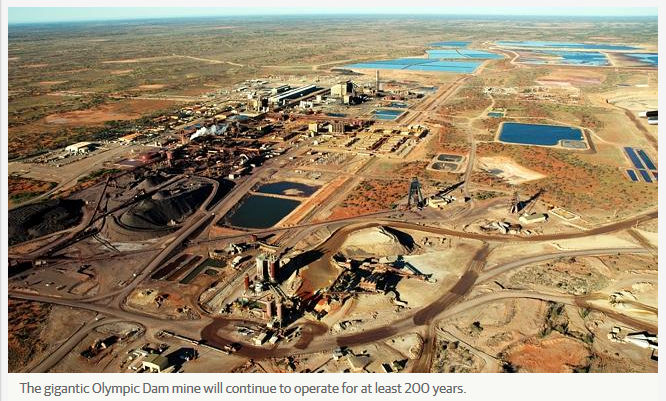 Olympic Dam has been in production since 1988 and doesn’t even look like slowing down – BHP reckons another 200 years of mining still to be undertaken there. 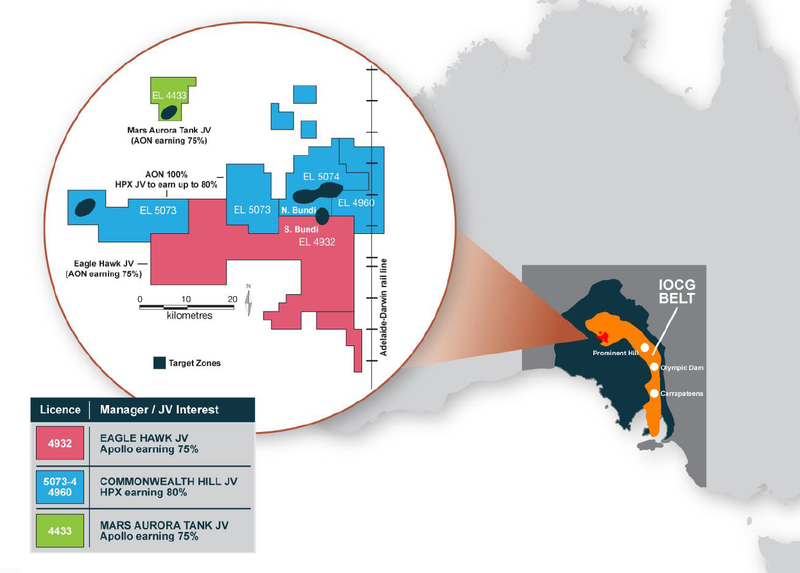 AON’s massive IOCG targets in South Australia’s highly prospective Gawler Craton are very promising but... Targets are one thing – finding them and exploiting them is quite another. The quickest way (and the usual way) to hunt down undeveloped resources is to get some help – a farm-out programme or a JV partner that can accelerate your efforts. Well, AON has gone one better...it’s formed a strategic alliance with one of the world’s elite exploration companies – High Power Exploration Inc (HPX) . The summary is that High Power Exploration took up $1M worth of equity in AON (at a premium to today’s price) and have the option to investing a further $4.8 M to earn an 80% interest in the Commonwealth Hill JV. They obviously liked what they saw to take up such a big stake. Good news for AON – they have secured big dollars and a high powered partner who can help accelerate its IOCG projects. And now in just days, drilling results will be released on AON and High Power Exploration’s ground. Let’s have a look at the people AON is now in business with. Now, in terms of day to day operations, High Power is led by CEO Mark Gibson who used to work at Anglo American before joining up in 2011 and taking the company from a cash shell to its present status as a major mining developer. In fact, if you look at the leaders list High Power is a crew of people who have all held very high ranking exploration jobs at some of the world’s biggest mining companies. 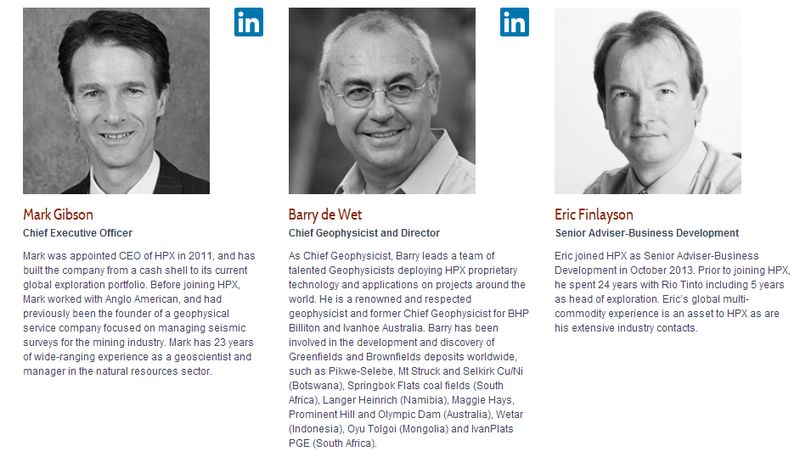 The Chief Geophysicist Barry de Wet held the same role with BHP Billiton and Ivanhoe Mines (owned by Freidland) while Chief Operating Officer Marcus Birch was GM at Clarity Minerals. The man who really catches our investing eye is Eric Finlayson – whose title is Senior Adviser-Business Development. Finlayson’s track record is impressive – 24 years with mega-miner Rio Tinto including five years as Head of Exploration. What really makes Finlayson tick is the use of advanced technology to find new deposits of minerals. 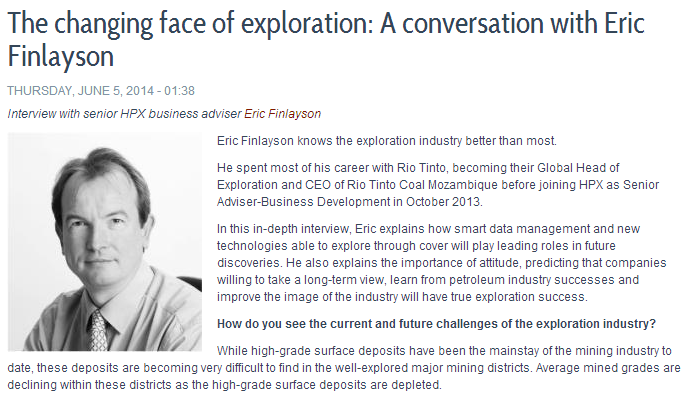 In this in-depth interview posted on the High Power website Finlayson explains that while high-grade surface deposits have been the mainstay of the mining industry for decades they are becoming more difficult to find in well-explored areas. Also, he notes that grades from these deposits are steadily declining. Good to hear this guy is on AON’s team! Finlayson’s answer to the challenge is to go deep . Explore and exploit resources that are below cover. 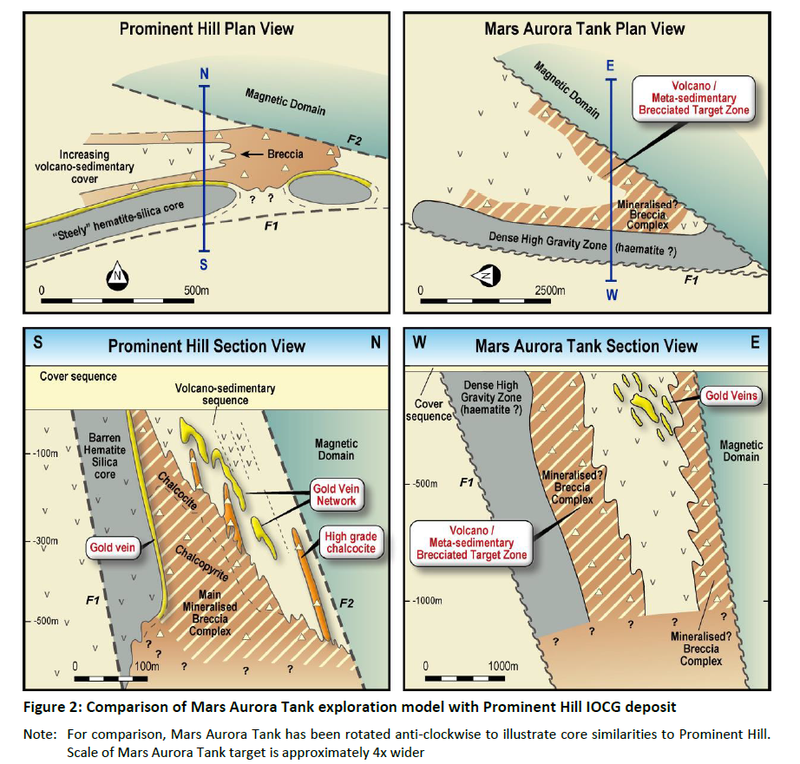 AON is going after IOCG deposits in the world class backyard of South Australia which by their very nature have large portions below cover and deep underground. Finding them is challenging work – so you can see why a strategic alliance with High Power is valuable. 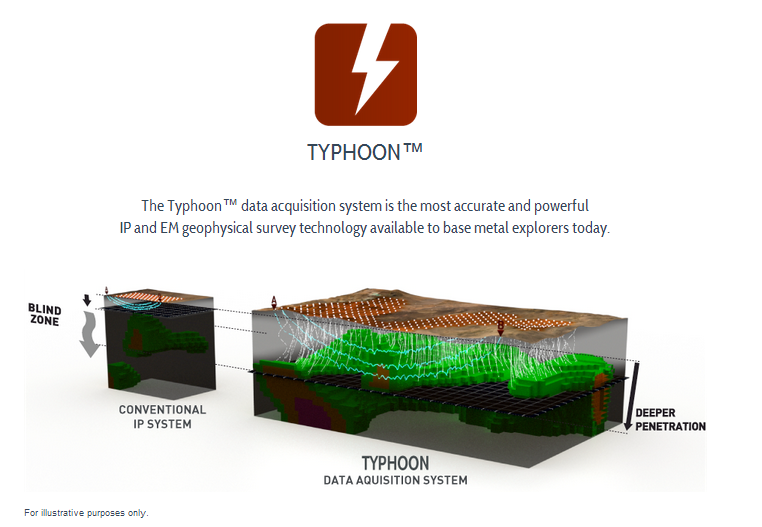 High Power can target deep deposits through a technological process it calls Typhoon. Funding + technology + excellent people = a great shot at success. AON is going after IOCG deposits – mammoth resources that could result in the establishment of the next Olympic Dam. Having High Power Exploration on board is a sign that the ground holds a lot of potential. Plus, the primary backer of High Power Exploration is a man who doesn’t throw darts at a board when deciding on an investment...he is the dart! 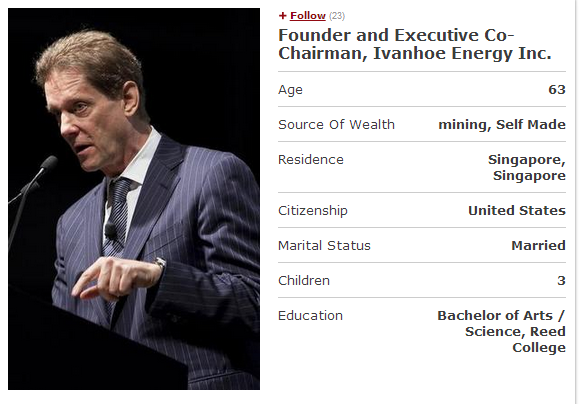 If you’ve been around the mining and exploration game for a while then the name Robert Friedland should be familiar. If not, you’re in for a treat. Just to repeat, Friedland has indirect control of High Power Exploration, the major JV backer of AON’s South Australian IOCG mining play. 63 year old Friedlan d’s net worth is estimated at $1.1BN. He’s an entrepreneur in every sense of the word. In fact, we’re surprised Hollywood hasn’t yet made a film about his life. It was at Reed College, Oregon where he was studying towards a degree in political science that he met the young Steve Jobs – yes, that Steve Jobs. The story goes that Friedland also ran a spiritual retreat at an apple orchard and when he struck up a friendship with Jobs it was that laid back place that gave Apple the company’s name! Fast forward a few years and Freidland became a global investor in high-risk mining operations from Canada to Africa to Asia. His first major discovery was a large nickel deposit in Canada’s Voisey Bay which he sold to Canadian miner Inco for $3.1BN in 1996. 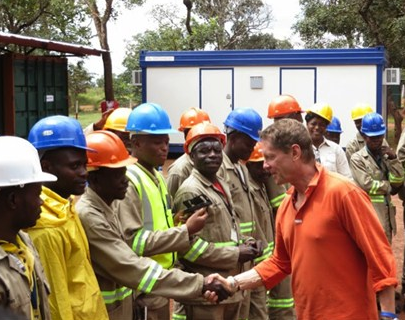 The big step up for Friedland came when he founded Ivanhoe Mines Ltd. It was in this company that he discovered one of the world’s, if not the world’s biggest copper gold mine Oyou Tolgoi – which once was worth over $15 BN, now worth $8 BN. Friedland then set up Ivanplat, an African focused platinum and copper company which recently changed its name to Friedland’s previous venture, Ivanhoe Mines. This company is now worth $3BN. Ivanhoe Mines has been discovering, investing in and exploiting massive resource projects around the world. Most of them are high risk ventures that no one else wanted to touch with a 10 foot pole. He opened mines in Burma, Mongolia, Africa – places where the price of business was low but the risks we at The Next Mining Boom are usually wary of – politics, infrastructure quality, security – are par for the course. But Friedland and his crew at Ivanhoe made them work. Here is where the dots begin to connect for AON, High Power Exploration and Freidland. Freidland has made a name and fortune for himself by taking on high risk ventures that gave huge rewards or by doing things differently. His indirect control of High Power Exploration matches that vision perfectly. High Power Exploration specialises in going after ore bodies once thought unattainable or put in the too hard basket. It explores deep and drills deep. Cover is not an excuse. They will find a way. Of course AON could have done things the conventional way. Take a long time exploring the usual way, then drilling the usual way and then, eventually, bringing in JV partners. But that would take years and cost a lot more money. Instead of that, AON has from the very start sought out the best and brightest to help. Friedland’s magnetic personality has plucked score of big projects from out of the blue sky and put them on the bottom line. High Power Exploration is revolutionising the way resources are explored for – and uncovering things people never dreamed of. And now they are sharing that with our latest investment, AON. Over many years of investing at The Next Mining Boom we’ve learned that people – rather than assets – are a big decider when it comes to success or failure. The right attitude, skills, connections and drive play a huge factor in whether a project with the right assets gets sold for the right price or gets developed to its full potential. With superstars like Friedland and the team at High Power Exploration backing AON we’re confident the right people are taking on the IOCG challenge in South Australia. Exploration drilling is underway right now at both targets following an extensive survey of the area by High Power. The 140km2 high powered Typhoon induced polarisation survey identified a number of co-incident dense, chargeable targets which may represent significant sulphide bodies. 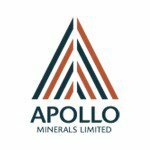 AON says they have the potential to host IOCG style mineralisation as seen at the Prominent Hill and Carrapateena IOCG sites. 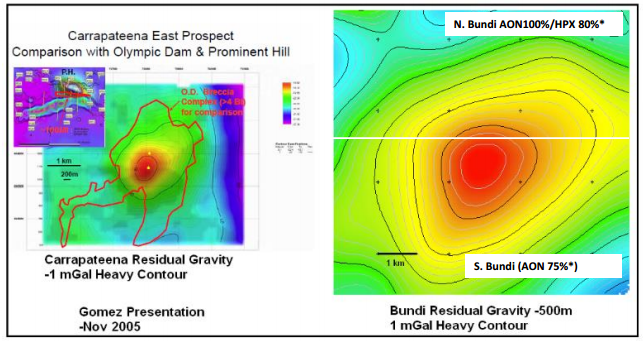 As you can see AON’s Bundi target is wide and shallow at the top and then tapers to a deep shaft in the middle – just like Olympic Dam. Its erosion level is similar to Olympic Dam as well so that long producing and high value mine offers a good comparison. Remember, AON’s Bundi target is part of what’s called the IOCG belt and these things tend to lump in clusters. AON should be delivering assay results from its drilling programme any day now. 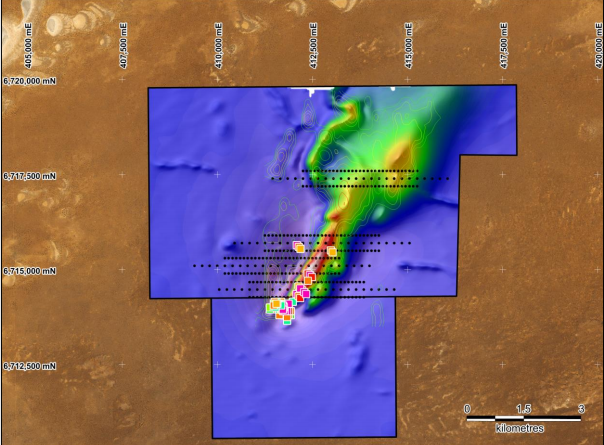 Those results may results could lead to more clues in the hunt for Australia’s next massive IOCG deposit. AON has done the hard yards in securing a raft of high quality tenements covering a huge chunk of some of Australia’s richest mining ground. The neighbouring areas are pumping out precious metals and iron ore from huge IOCG deposits developed over many years. We have invested in AON to potentially get involved in the next one. Currently sitting at just a $12M market cap, the share price is at a discount to recent capital raisings – a big hint that AON is undervalued. At The Next Mining Boom we’ve come in as long term investors right at the moment it seems all the big catalysts are about to land. And it’s not just the Bundi and Wirrida targets we’re waiting for results from. AON has also launched an ambitious gravity survey programme covering Eaglehawk and Mars Aurora as well. On AON’s Eaglehawk tenements, a gravity survey has been completed at the southern area of the Bundi target and its surrounding terrain. The survey is primarily targeting a possible southern extension to the Bundi anomaly and will also evaluate areas south of Bundi which have not previously been covered by Apollo and are also in highly prospective IOCG terrain. AON has identified a ‘Prominent Hill’ style target at its Mars Aurora tenements which it’s earning a 75% stake in through a JV with Marmota. 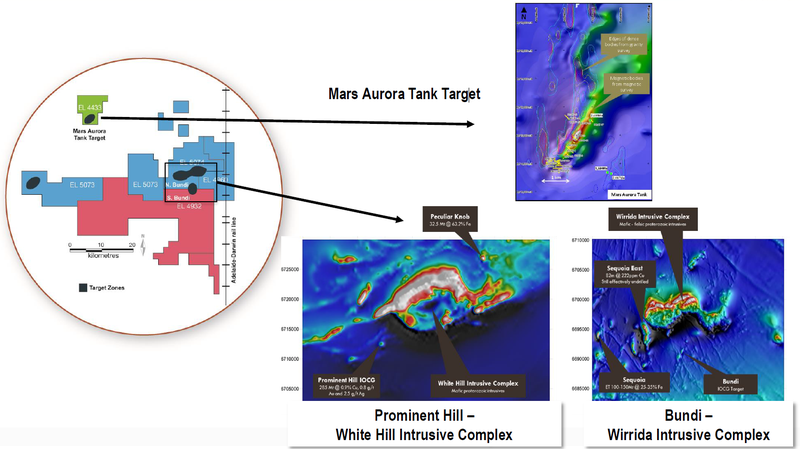 The target AON has developed out at Mars Aurora Tank was formed through the processing of anomalous geochemistry gathered through a drilling programme completed at the tenement earlier this year . 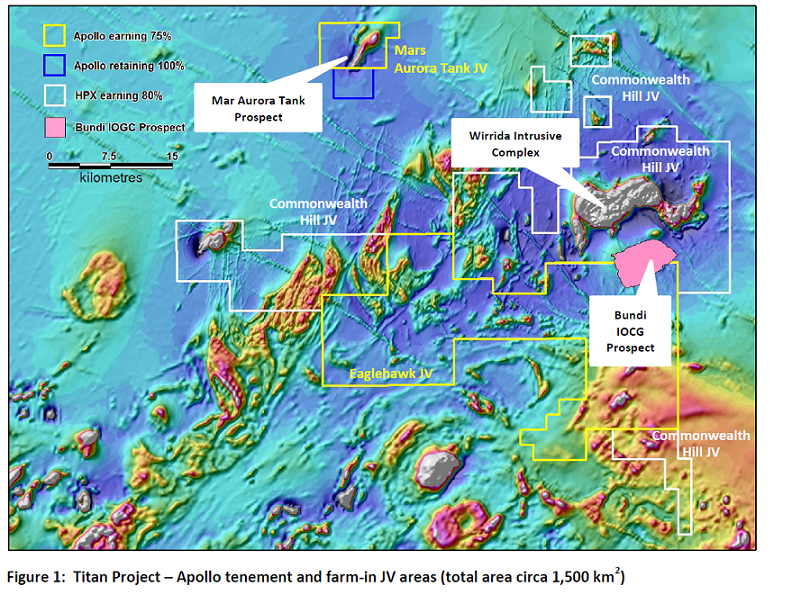 AON conducted IP and gravity surveys on the central zone of the Mars Aurora prospect to test for near surface copper and gold shows and to form a picture of deeper resources. The results show the area is comparable to the nearby Prominent Hill IOCG resource and that possible IOCG mineralisation exists at Mars Aurora. The geology now shows that the area can potentially host an IOCG system. There has been some historic drilling at the site and small quantities of gold, silver, iron and copper were found. But AON is aiming deeper and for bigger IOCG or gold deposits. Now that AON’s initial exploration drilling has taken place and a target has been found, the challenge is to put all of this knowledge together, select deeper drilling targets and push the envelope until an IOCG resource is confirmed. Drilling at Mars Aurora Tank is likely to be announced very soon. In resource investing timing is crucial. You want to get in when the catalysts are coming to a head and our investment at The Next Mining Boom in AON has come at a time when lots of the threads are coming together. Deep drilling at Mars Aurora tank is about to kick off. Survey results from Eaglehawk are coming soon , and you guessed it, the drilling of Eagle Hawk targets is next on the list. And above all of this, the Commonwealth Hill JV is kicking off with work being done by High Power Exploration. AON are basically free carried on this work. AON has secured some of the most promising tenements in the world for IOCG deposits and has the backing of Robert Freidland, one of the world’s heavy hitters for mining exploration plus a team with a track record of major IOCG discoveries in South Australia. AON has brought High Power Exploration, Friedland’s indirectly controlled mining technology firm, to fast forward the process of finding an IOCG deposit and hopefully one day digging it up. If you are new to our site, you may not have seen our Next Oil Rush Tip of the Decade – which called Africa Oil Corp (TSX:AOI) – AOI has been up over 600% since we called it! So drill results are due across the board – the next few weeks could get very interesting. 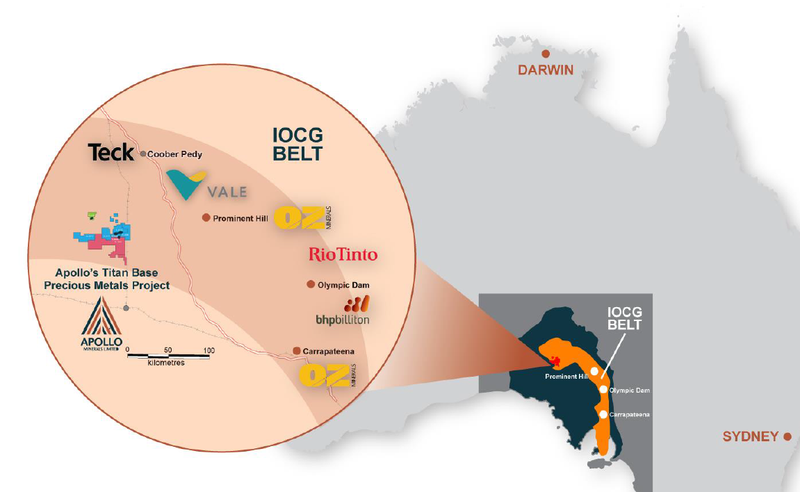 The long term success of neighbouring IOCG deposits like Olympic Dam, Prominent Hill and Carrapateena show the possibility of making billions dollars over many, many years of mining from just one resource. At The Next Mining Boom we are investing with AON for the long term. 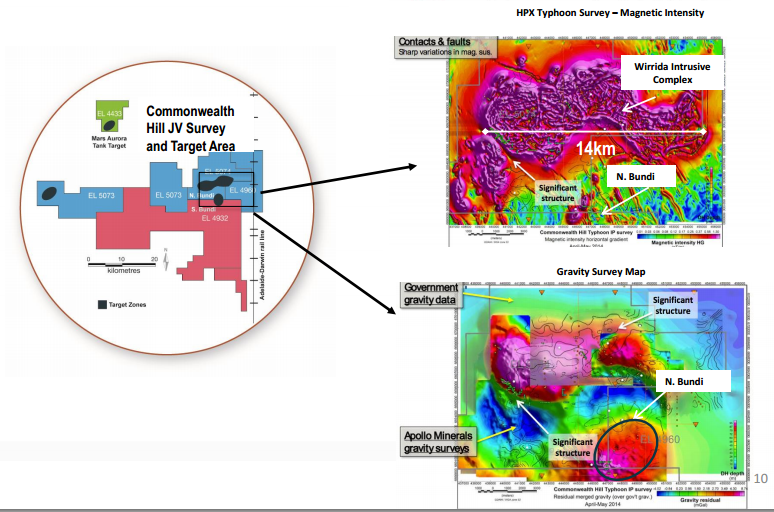 We think this company has carved out a big chance to discover a mammoth IOCG deposit in a prime breeding ground, South Australia’s Gawler Craton. It has billionaire backers in Robert Freidland and the specialist technology explorer High Power Exploration. It has JV support in all three of its tenements and exploration, surveying and data processing is going full pelt. 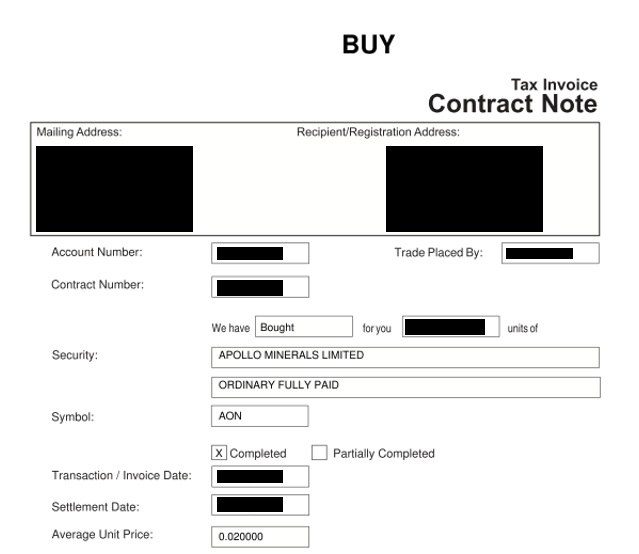 Discovering just one IOCG deposit would transform AON and its paltry $12M market cap. It has more than one chance of making that happen and in the next few weeks we could see a steady stream of announcements that could utterly change the mining landscape in Australia. 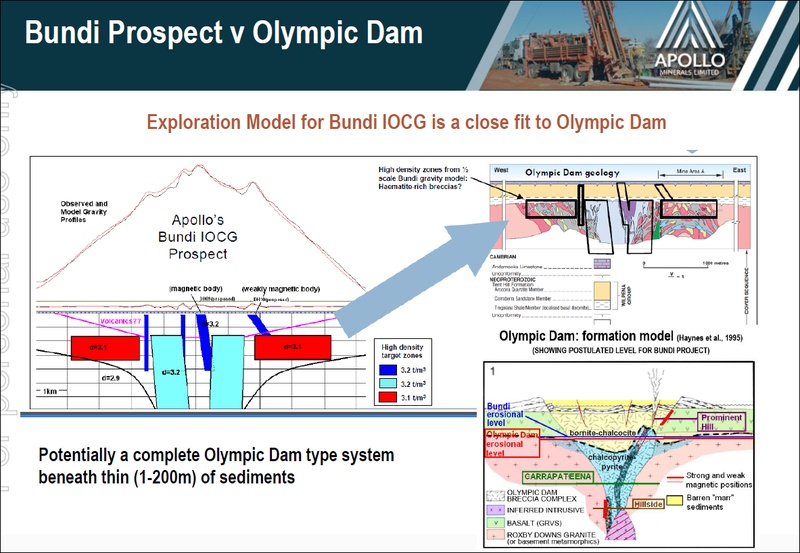 Another Olympic Dam? Another Prominent Hill? Another Carrapateena? Only time will tell and AON has wound the clock very tightly indeed.